So my birthday came and went, and it was pretty uneventful, just the way I like it. I had a lovely lunch with my family, ate far too much cake and went to sleep before 10 pm. A perfect day. To celebrate with you guys, I'm planning a belated birthday giveaway sometime next week, probably on Saturday. I hope you'll stop by and enter. I also hosted the Bronze Gods blog tour and I was very happy with the response. Thanks to everyone who stopped by to read, leave a comment, enter the giveaways or participate in any way. Thank you to Ann and Andres Aguirre for trusting me to do this, and above all, thank you to Heidi@ Rainy Day Ramblings, Jenny@ Supernatural Snark, Mary@ The Book Swarm, Melissa@ Books and Things and Kimba @ Caffeinated Book Reviewer for taking this journey with me. Knowing you ladies is what I love most about blogging. A finished copy of Quintana of Charyn by Melina Marchetta. So pretty! Thank you to Hachette Children's, Sphere, Atom and Mira INK. Here's the link to Amazon. And that's it for today. Thanks for stopping by, guys. Leave me a link to your Sunday post and I'll be right there. Second, what is that on the cover of The Freak Observer?! I shuddered the second I saw it! Ugh. Third, you got some great books this week. I can't wait to see what you thought of Transparent! Thank you! And it's a heart, and it's kind of gross and awesome at the same time. The back cover has a brain on it. The freak observer, what a freaky but interesting cover, haha. I need the Eternity cure soon <3 Happy reading! Happy Birthday, Maja! :) I hope you had a wonderful birthday. I love the cover of The Freak Observer! How cool is it that there's a heart on it? I've never heard of it before, but I'll make sure to add it to my to-read list. Hope you enjoy your lovely haul! I'm very curious to see what you thought of Wait for You! OOh nice haul!! Haven't read these but hope you enjoy them all! Your haul this week looks fantastic! I loved The Wicked and the Just and I have a feeling you'll enjoy since you're a fan of historical fiction. Also, those finished copies of Quintana, Bone Crossed, and Silver Borne are turning me green with envy. I'm really excited to see what you think of 17&Gone though. I wasn't a fan of Imaginary Girls, but I love the synopsis of this one. I'm on the fence because of mixed reviews, but if anyone can convince me one way or the other, it's you. Once again, great haul and happy belated birthday, dearest! Happy belated birthday! I'm glad you had such a great day! I still really need to get into the Revenants series. I adore those covers, but still need to pick up the first book. I've heard great things about 17 & Gone. Happy reading! 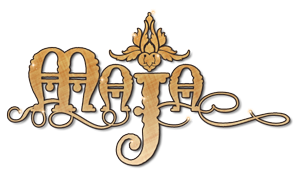 Belated happy birthday, Maja! Congrats again on the dedication :D and Ketchup Clouds looks really interesting in your TBR! I want to read The Secrets of Ella and Micha! Can't wait for your reviews :) Happy reading! Congrats on your successful blog tour, I stopped at a few stops and really enjoyed it! 17 and Gone was a great birthday pressie, I'm dying to get my hands on it. Happy (be lated) Birthday to you! Glad you had a good birthday! Ketchup Clouds looks interesting, and I love that cover. Hope you enjoy all your books! Happy belated birthday! :) Great haul, enjoy all the fabulous reads! You got some great books, Happy belated Birthday!! Glad you Birthday was a good one. You got some great books too. Enjoy them. Happy Birthday Maja. You're perfect birthday is just the kind I like :) And fantastic book haul, enjoy!! Happy Belated Birthday, Maja!!! Glad to hear you had a nice, relaxing day. :) I love those kind of birthdays. Awesome haul and Happy Birthday. I have been teetering on whether to grab Unparallel so I look forward to your review! Have a wonderful day. Happy belated Birthday Maja!!!!! That's wonderful that you had a relaxing birthday!!!!!!!!!!!!! Enjoy all you new books! Eternity cure is great!!!!!!!! Nice! Congrats on receiving a dedication! You are always crazy busy! LOL! Great week. And I so need to get Forbidden Fruit. I'm trying to wait for next month on book buying with going to Balticon at the end of the month (need the money to get there). Happy BIRTHDAY! I like my birthdays uneventful too. :) Glad it was still nice though. That's so cool that Anna dedicated it to you! I am slowly reemerging. company left today. Had fun but it is nice to get back to normal. So many books up there. I need to research the one with the heart on it. Weird cover. I bought Ann's book when I saw it on her FB page. It was $.99 and I figured it would be a steal. I have to go look at the dedication now. You are welcome. Thanks for having me on the tour! And I'm SO happy to hear that Ann dedicated Forbidden Fruit to you! That is such a huge honor and so well-deserved. You've turned me onto so many of her books, ones I probably never would have picked up otherwise. Congrats!! 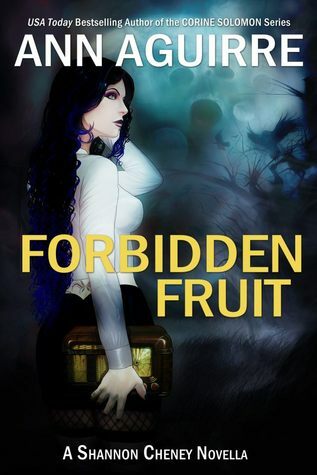 Okay, I'm grabbing Forbidden Fruit! Thanks for the heads up on that. And congrats on it being dedicated to you! I would have cried too. That's just amazing. Happy Birthday! I'm glad you had a good one! It looks like you got a lot of great books as well! Happy Belated Birthday! I'm glad it was everything you wanted. I also really want Ketchup Clouds. Looks SO good. Happy belated birthday, Maja! I'm a fan of low-key birthdays, too. Also wanted to say congrats on doing such a good job on the Bronze Gods blog tour!